Childcare is often the single biggest expenditure for parents with young children – at times, exceeding even a rent or mortgage payment. When hiring a nanny, the cost can include far more than just the nanny’s hourly rate. Many parents are taken by surprise when they add up all the expenses involved. Be sure to appropriately budget for your childcare expenses by considering the often-overlooked items below so you’re not surprised the cost of a nanny. 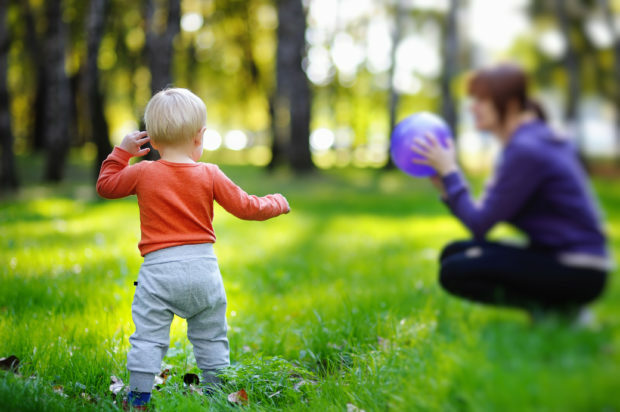 Because the IRS generally considers nannies to be employees, hiring a nanny means you’ll have to file and pay employment taxes like any other employer – adding to your expense not only the taxes themselves, but also the cost of tax preparation. The employer’s contribution to employment taxes varies by state, but, between state and federal employment taxes, your legal obligation is likely to be approximately 10% of your nanny’s compensation. Be aware, however, that many nannies who are paid on the books expect to receive a guaranteed weekly/hourly “take home” (net pay) that is comparable to what a nanny would receive if paid in cash – so you can end up footing the bill for your nanny’s share of taxes, on top of their expected compensation and your own employment tax contribution. This can add 15-25% more to what you’ll end up paying. While it can feel tempting to pay your nanny “under the table,” authorities have increased enforcement in this area in recent years, raising the chance that you’ll end up with the much higher cost of audits, back taxes, fines, professional repercussions, and workers compensation lawsuits, not to mention a tremendous amount of stress. In addition to your tax obligations, hiring a nanny means you’ll also be responsible for compliance with state and federal minimum wage, overtime and other employment laws. Nannies are often paid on a salary basis, but they are entitled to overtime pay under federal (and often state) law, which means you must translate your nanny’s salary into an hourly wage and pay overtime based on that amount. Ensuring that your nanny’s compensation is compliant with overtime rules can be complicated and end up costing you far more than you had anticipated. While federal sick and family leave requirements don’t apply to employers with less than 50 employees, certain state have laws that entitle domestic workers to such leave. While hiring a firm to assist you can cost about $500 per year, calculating and complying with tax and labor laws can be a major headache, so it’s generally worth the cost. Many nanny payroll services offer free phone consultations to discuss the amount of taxes you’ll have to pay, the deductions available, flex spending accounts, and overall benefits of paying on books (and risks of not). In addition to legally required compensation, many full time nannies are accustomed to receiving benefit packages that include: vacation time, sick days, a guaranteed weekly payment whether family chooses to utilize nanny’s services or not, paid holidays and an annual bonus. Some nannies even receive paid public transportation to and from work, parking permits, cell phone reimbursement, medical stipend, help with college tuition, paid meals on the job, taxi for late nights, etc. You are not obligated to extend all of these benefits to your nanny but know what is legally required, as well as what you are willing to commit to, before you begin interviewing applicants. Many parents feel it’s important to get their children who are at home with a nanny involved in organized social or educational classes and outings: music and art classes, gyms, sports, zoo memberships, museums, indoor playgrounds, etc. While these can be a great way to fill your child’s day they can also add a large bill to your already costly nanny expense. In addition to the children’s membership or admission fees, you may also have to pay those fees for the nanny so he or she can accompany the children. While the cost and legal compliance of hiring a nanny can be overwhelming, many families have wonderful experiences with their nannies, who often grow to become a cherished part of the family. Knowing your total costs and obligations and setting up a system from the start can put you on the right path and make things easier in the long run. Holly Flanders is a childcare consultant who teaches parents the best practices to find, hire, and maintain a quality daycare, nanny, or nanny-share. Holly has professional experience as a nanny, director of children’s programming, a parent coach, nanny trainer, and as a director and head teacher at an early childhood learning center. This rare blend of experiences has inspired Holly to create Choice Parenting to help parents navigate childcare and have the support and information needed to confidently find the best suited caregiver for their unique family.